Henry Elliot was born in Roxburghshire Scotland in about 1790 he died in Roxburghshire in 1818 aged 28. He married Esther Glendinning born Canterbury Kent in 1796, she died in the United States of America in 1851 aged 55. Esther was the daughter of Adam Glendinning and Elizabeth Crook. 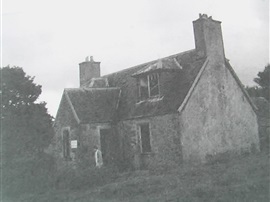 Elliot Farm house Hawick Scotland. The long piece at the back housed the animals. 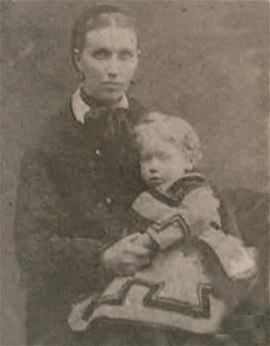 William Elliot's First Family with Helen McVittie. William Elliot was born in Castleton Roxburghshire Scotland in 1817. 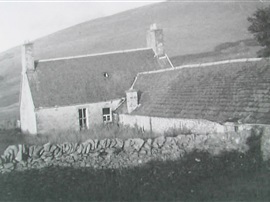 He was baptised in Nicholforest, Chapelry of Kirkandrews Cumberland. William Elliot had two families: His first when he was married to Helen McVittie of Hawick Roxburghshire Scotland in 1845 he was 27. They had eight children. Helen McVittie William's wife died in 1863 aged 40 years. Jean (Jane) b 1846 m Thomas Burnet they had Helen, Esther and Beatrix (Twins). Jean married the 2nd time to Ralph Peart and they had John William. 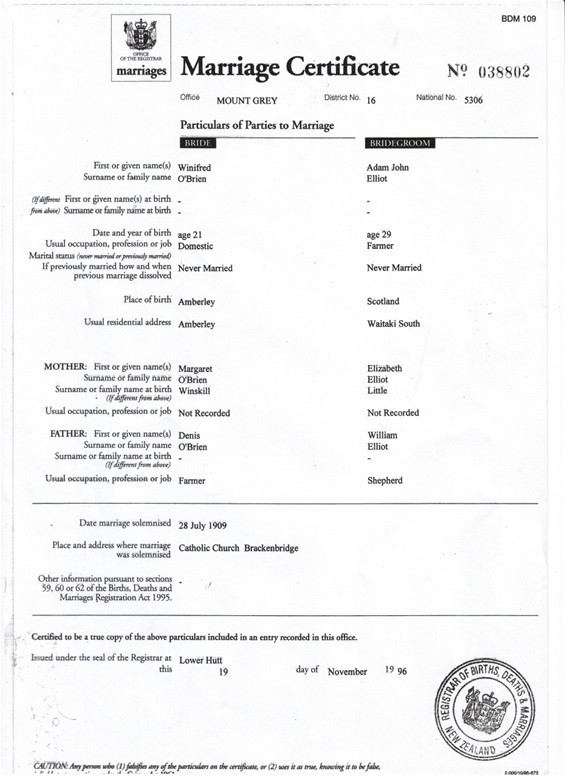 Jean Peart had a 3rd marriage to Milburn English. William b 1856-1920 m Isabella Uprichard they had Susan 1896. Helen 1897. William 1903. Isabella 1905. Elizabeth b 1859 m David Jack their children Elizabeth. Thomas. Helen. Janet. Davidina. Williamina. Margaret & Jean. John b 1861 - 1925 m Marion Armstrong their children William b 1894-196?. Henry 1897 - 192?. Ellen 1897 - 1973 & Janet 1905. 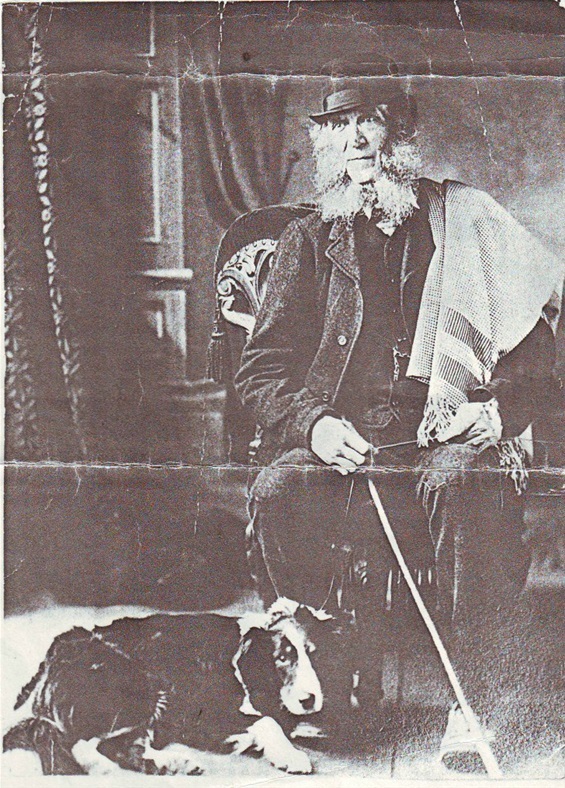 The second family of William Elliot and Elizabeth Little. They married in West Watergate Langholm in 1864 he was 44. Isabella b 1964 - 1948. 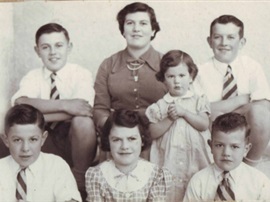 John, Elizabeth, Helen, William, Isabella, Donald, James, Dorothy & Roberta. James Blacklock b 1866.William, John, James, Elizabeth, Henry, Marion, Margaret, George, Thomas. Simon b 1867 - 1900. m Elizabeth Simonettra. 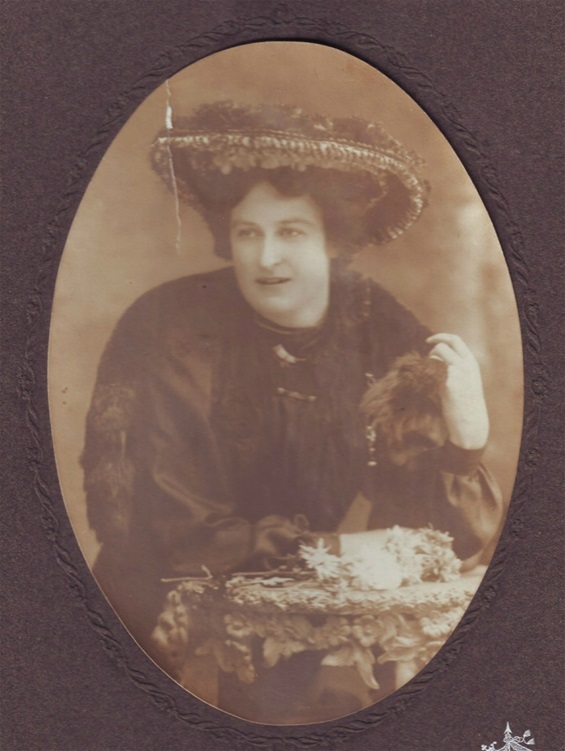 Margaret b 1873.m Blacklock Had George, Elizabeth, Simon, John, James, Mary & Roberta. George Little b 1875. m Mary Murray, William, Thomas and Robert. Adam John b 1880 he married Winifred O'Brien in 1909. Their children were Eileen Margaret 1910. Kathleen Elizabeth 1914, Mina Mary 1917, Winifred Alice Isobel 1919, Dorothy John 1924 & Esther (Birdie) Anne 1928. Adam and Janet were twins. 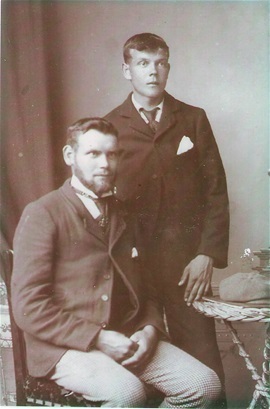 Janet b 1880. m Alexander Sherrif - William, Elliot & Robert. Robert Young b 1882-1903 not married. 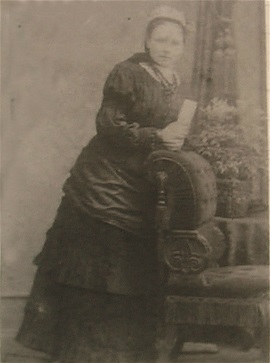 Mary Elizabeth b 1885. m Thomas Scott no family. Thomas b 1885.m Euphamia Grieve. William died in infancy, Thomas drowned in Ceylon. Robert . Scott b 1887 m Catherine Paterson had William John. William b 1902 m Lil Cuthbertson had Aileen 1932. & David 1934. A letter William Elliot wrote to his son Henry when another son Willie left home for New Zealand. 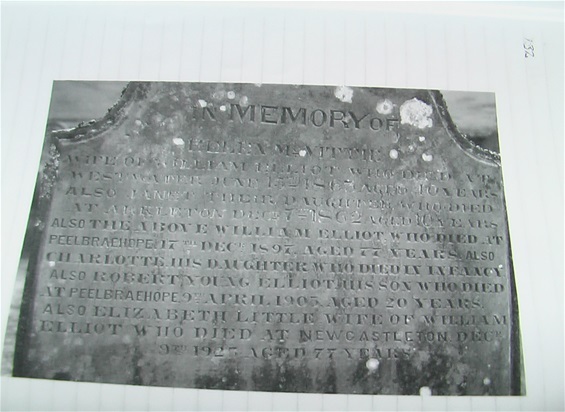 In memory of Helen McVittie wife of William Elliot who doed at Westwater June the 15th 1863 aged 40 years. Also Janet their daughter who died at Arkleton December the 7th 1962 aged 10 years. 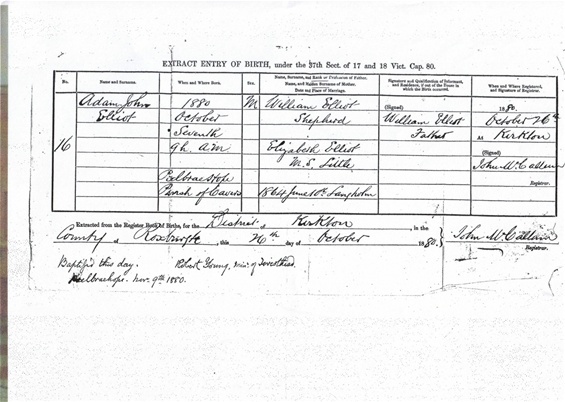 Also the above William Elliot who died at Peelbraehope 17th December 1897 aged 77 years. Also Charlotte his daughter who died in infancy. Also Robert Young Elliot his son who died in Peelbraehope 9th April 1909 aged 20 years also Elizabeth Little wife of William Elliot who died in New Castleton December the 9th 1923 aged 77 years. Michael, Adam and David came to New Zealand Michael had farm at Glenavy & David had farm in Hawkes Bay. William came out in 1882 to St Helens Station and then to Cheviot, then he bought Liddlebank - part of Greta Peaks. Sue and Nell lived in Christchurch - never married. 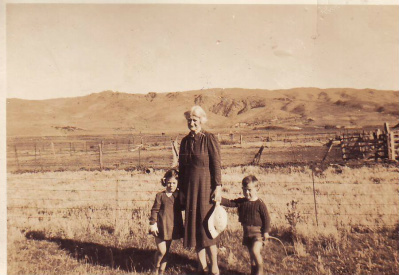 Isabella (Tib) married Charles Higgens a farmer from Waiau North Canterbury N.Z. John was at Cheviot, then bought Crystal Brool in 1889 on Waihao River near Waimate. 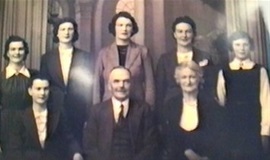 William married Alice Wilson - family Margaret (1925) married Alex Armstrong, Henry (1928) married ? he was accidently shot. 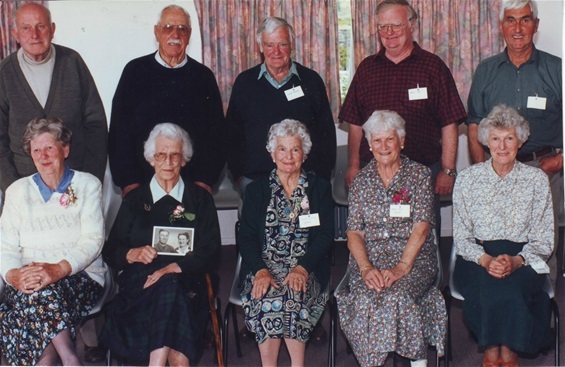 Ellen (Nellie) never married - Lived with Janet she married Frank Dugdale farmer in Waimate family Robin, Bruce, Marion & John. Margaret Winskill and Dennis O'Brien. 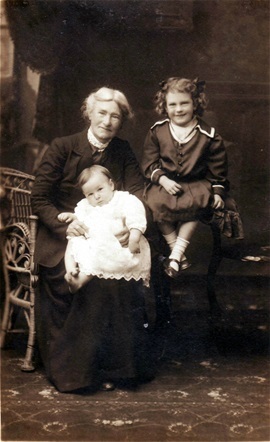 Grandma Margaret O'Brien with her two grandaughters Kathleen and Eileen Elliot. Margaret Winskill born 1851 in Appleby Cumberland England and Dennis O'Brien born 1842 were married in Brackenbridge Canterbury N.Z. in 1866. Margaret was 24 Winifred was born in 1888. Margaret's parents were Anne Monkhouse and George Winskill born Appleby Cumberland England. They were married in 1839. This was George's second marriage he was aged 40. He had been married to Esther Scott in 1824 aged 25. 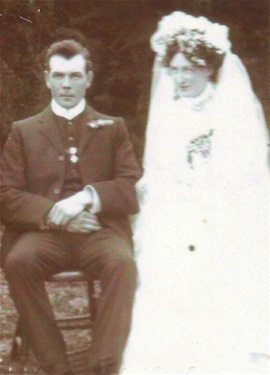 Winifred O'Brien married Adam John Elliot in 1909. 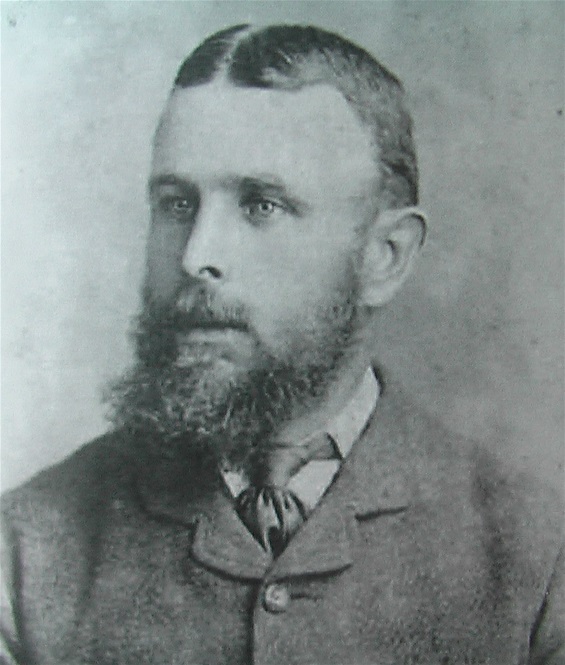 Adam was the twin of Janet children of William and Elizabeth Little born in 1880. Mavis Scott, Everly Mafor and Eileen Elliot. Adam and Winnie with their six daughters. Dorothy John born 1924 married Arthur Dunn and Dave Earl. Esther (Birdie) Anne born 1928 married Ray Pernisky. Nana Winnie Elliot nee O'Brien at Garrawaye Farm with Leonie and Lawrence Dougherty. Bernard, Leonie, Lawrence, Karen, Des, Francie and Patrick. 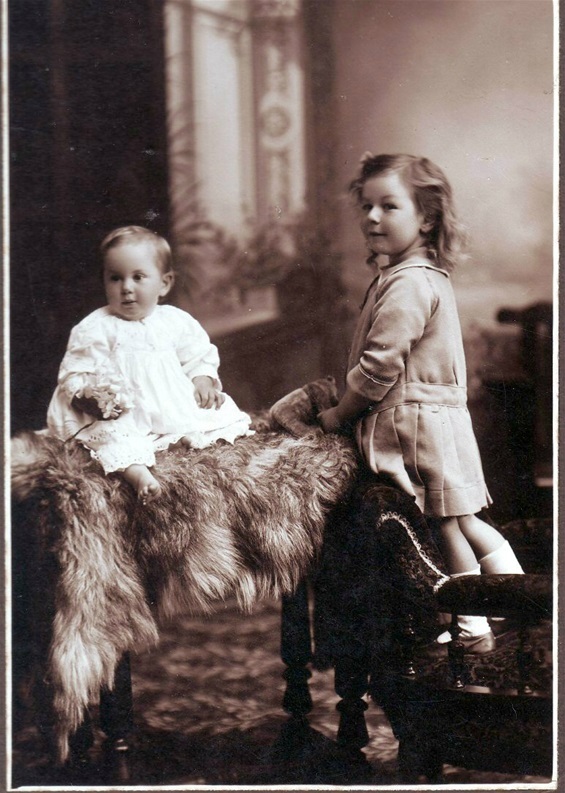 children of Eileen Elliot and Leo Dougherty. 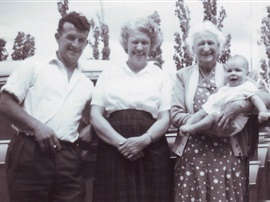 Lawrence Dougherty, his Mother Eileen Dougherty nee Elliot, Winifred Eliott with Larry Dougherty 6 months. Hi. 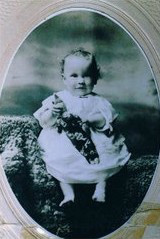 My great grandmother was Mary Ann O'Brien, Winnifred's sister. Love to hear what else you have on the O'Briens. I was not the researcher, this information was given to me. Do you know who he married? There is a huge error on this page regarding John Henry Elliot who was accidentally shot on our farm in 1924. He was NOT married to Esme Elliot. Willie Eliott was married twice and had two families. Elizabeth Little was Adams Mother. All details are above. What was William 's relation to Adam, were they brothers? Hi Amy all my photos are on this page.